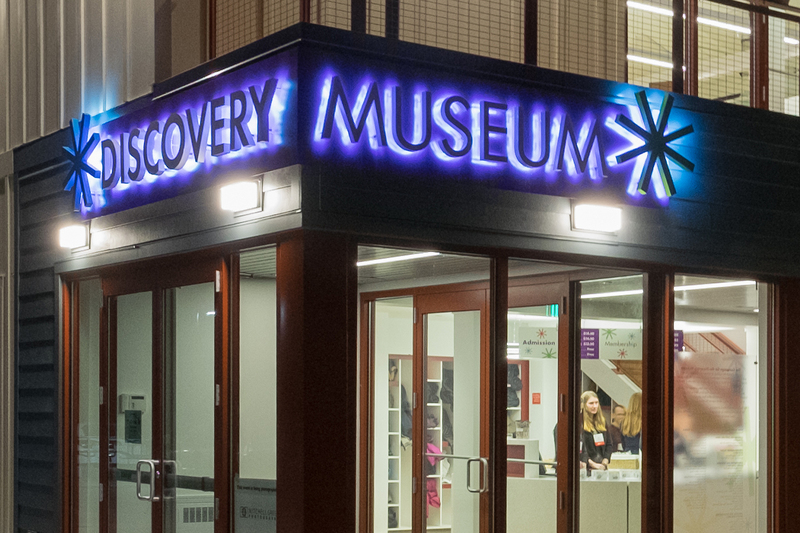 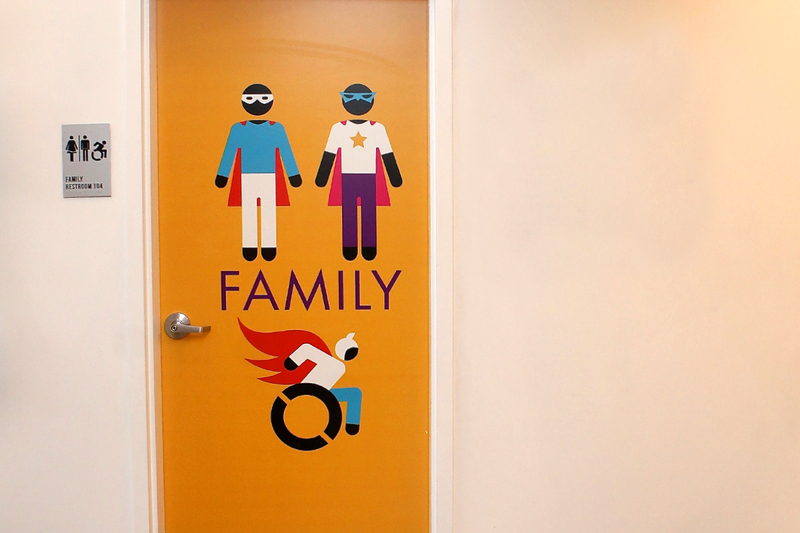 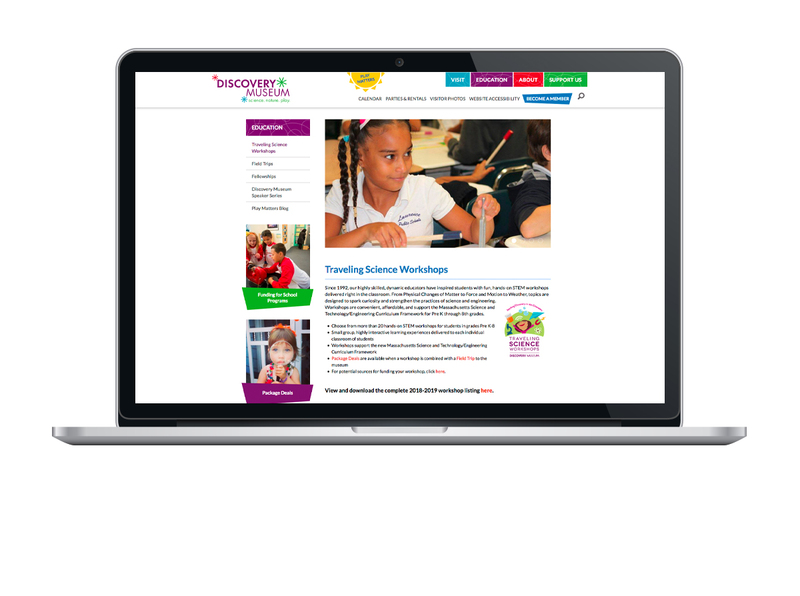 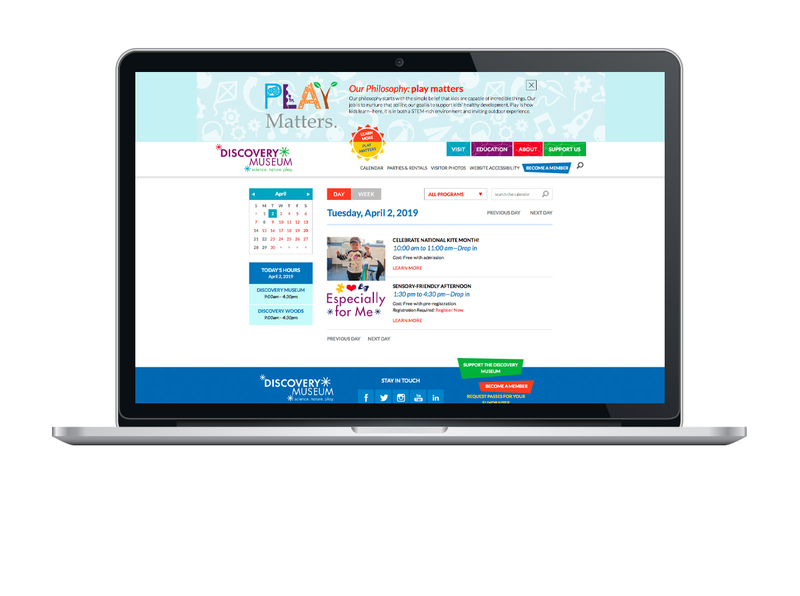 Thanks to a recent campus expansion, including the construction of a fully-accessible treehouse and nature playscape, and the development of an accessibility-first website, Discovery Museum is a leader in their field for inclusivity across the board. 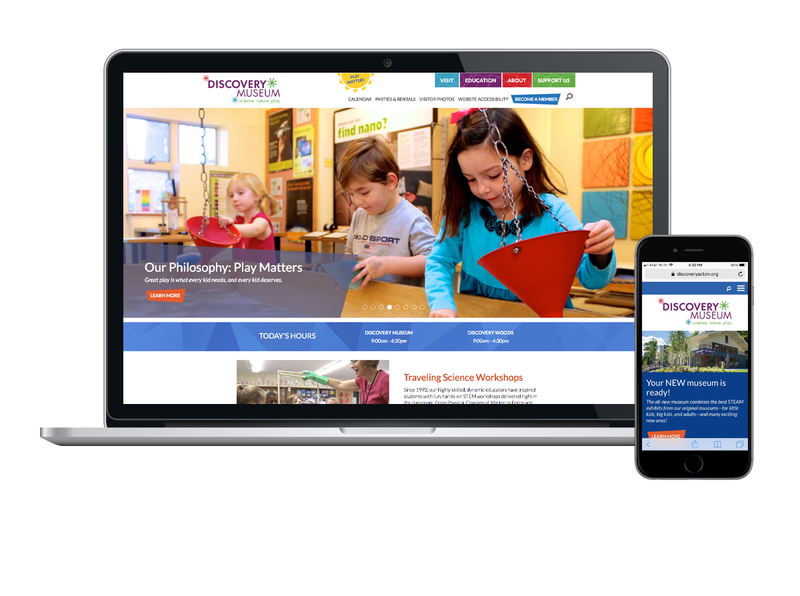 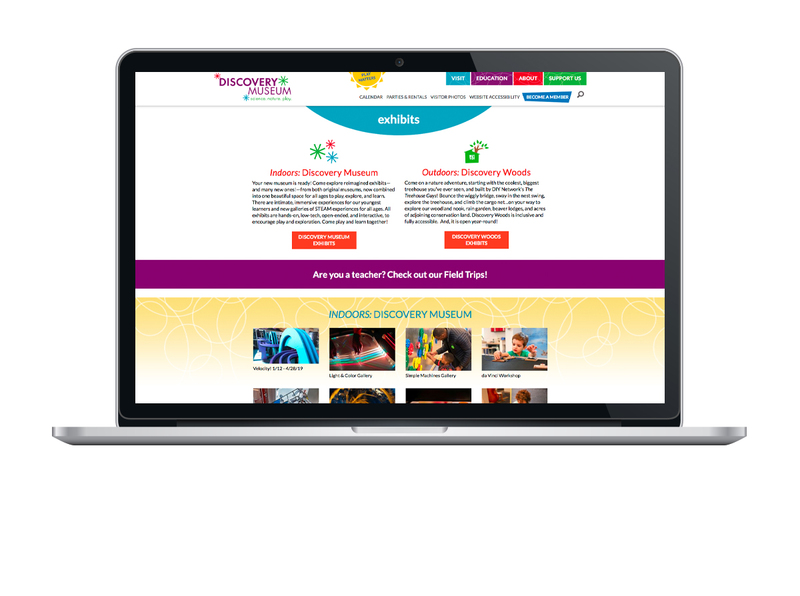 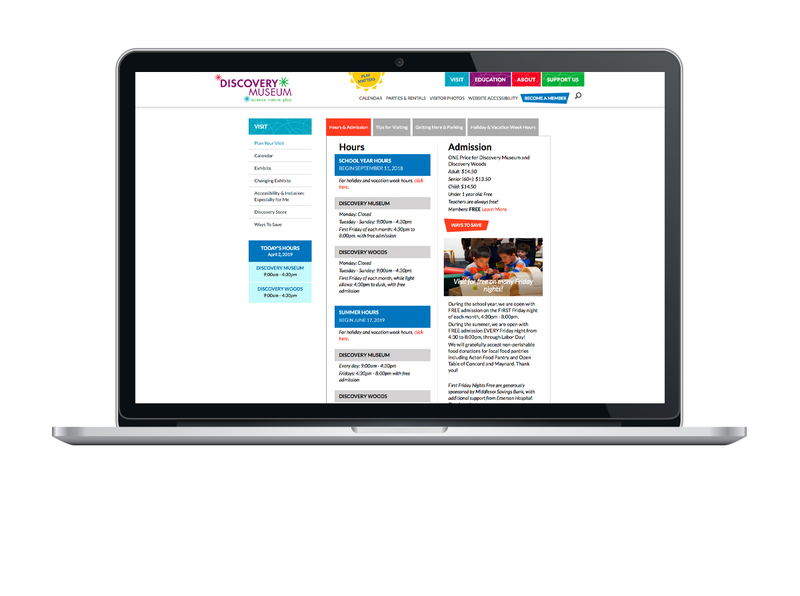 Theory One partnered with the museum to provide communications consulting, website design and development including accessibility planning, implementation and user testing. 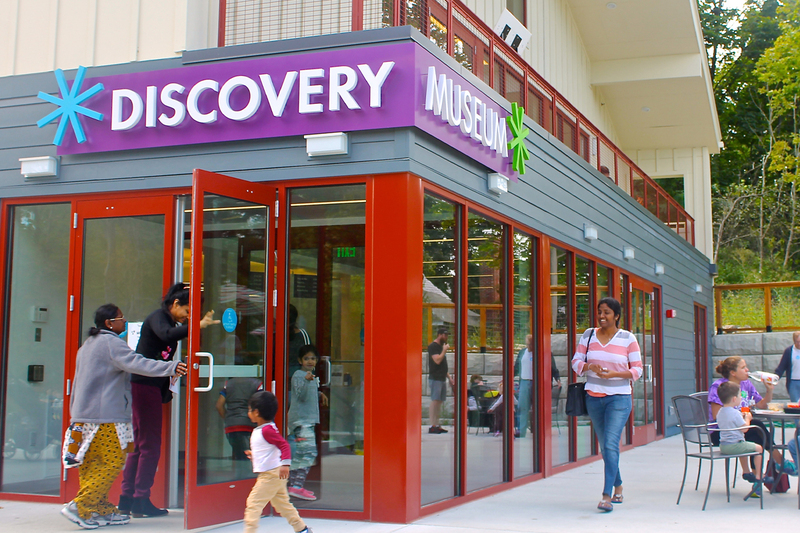 Working closely with the museum staff and project architect, Theory One Design also translated the new Discovery Museum logo into a strong exterior signage element that works well both in daylight and at night, entrance signage, interior signage including donor signage, admissions pricing signage and oversized, playful, inclusive restroom signage.